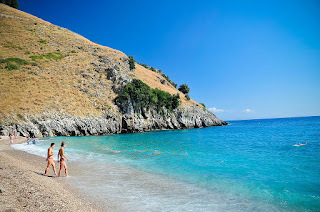 The online newspaper of Mediaset has dedicated an article for Albanian beaches, which they compare to Caribbean with tittle: "Albania: una costa che assomiglia ai Caraibi"
Vlora is one of the oldest cities in Albania. It was founded in the sixth century BC with the name of Aulon. In 733 it was annexed in Constantinople belonged then to the Normans, and the kingdom of Serbia since 1345. In 1464 it was conquered by the Turks and, for a short time and was also Venetian. 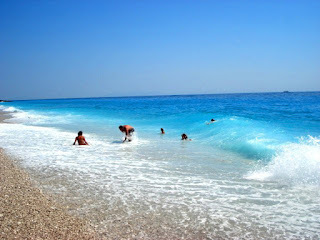 Not far from here is the beach Vlora, Jal which is located in the south of the city, just a few kilometers from the most famous of Drymades , near the village of Vuno. 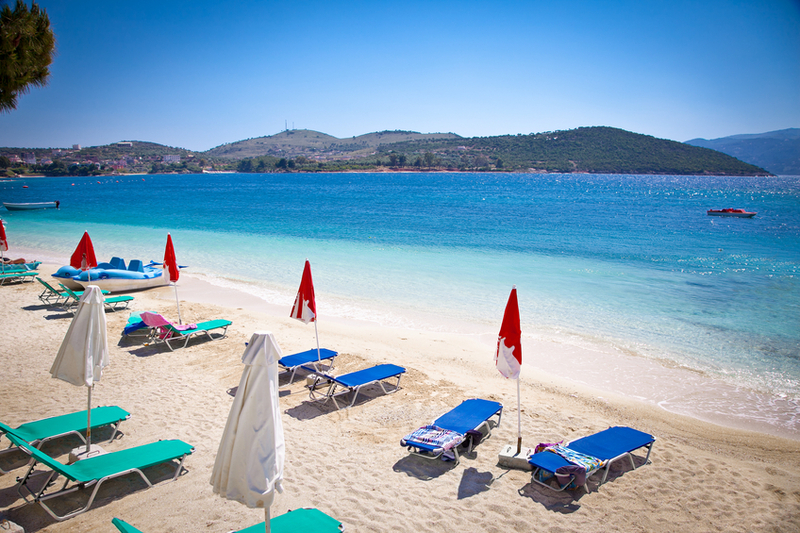 A small beach lovely and very quiet, sandy, bathed by beautiful turquoise waters of crystalline transparency. 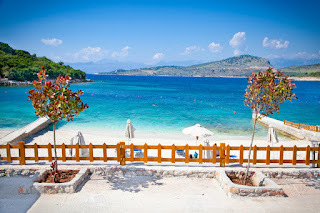 Drymades is a charm: the beautiful bay of golden sand where you can camp or rent a bungalow and enjoy one of the spectacular sunsets of this characteristic trait of Albania. The Beach Livadhi , at the foot of the castle of the city, framed by thick vegetation behind and rock walls on either side: even the sea here is exceptionally transparent, evidence of a still preserved nature. Here the range of accommodation is the richest of the coast. Many restaurants of Himara are managed by offering tasty and inexpensive dishes based on fish, squid and shrimp. Next to the old village Dhermi and full of attractions with beautiful crescent beach, here it is small and charming bays, Shkambo , Jaliksari and Gjipea, stretching for about two kilometers. Do not miss the Cave of the Pirates that once gave shelter to the predators of the sea and now famous for the intimacy of his cloaked space of intense blue.